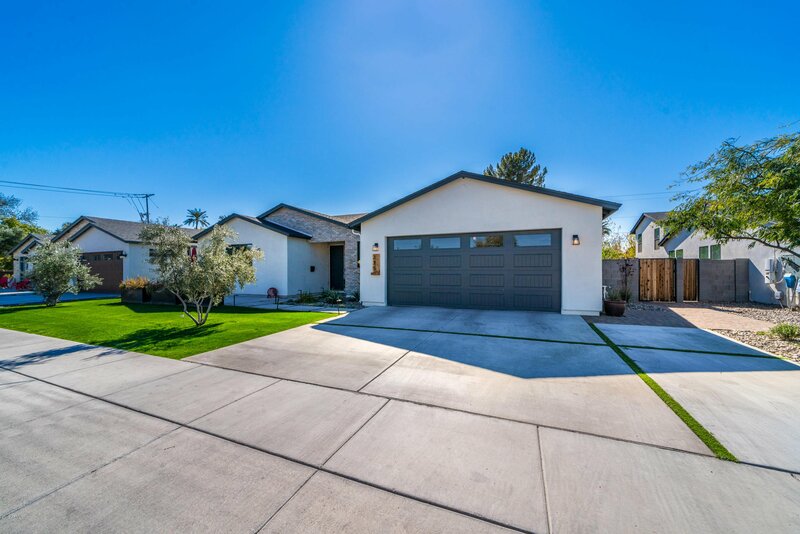 235 E Ashwood Place, Phoenix, Arizona 85012. 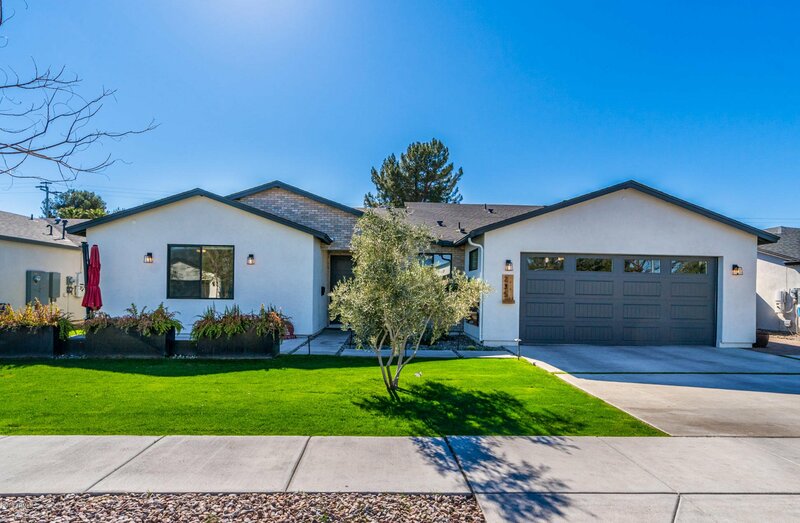 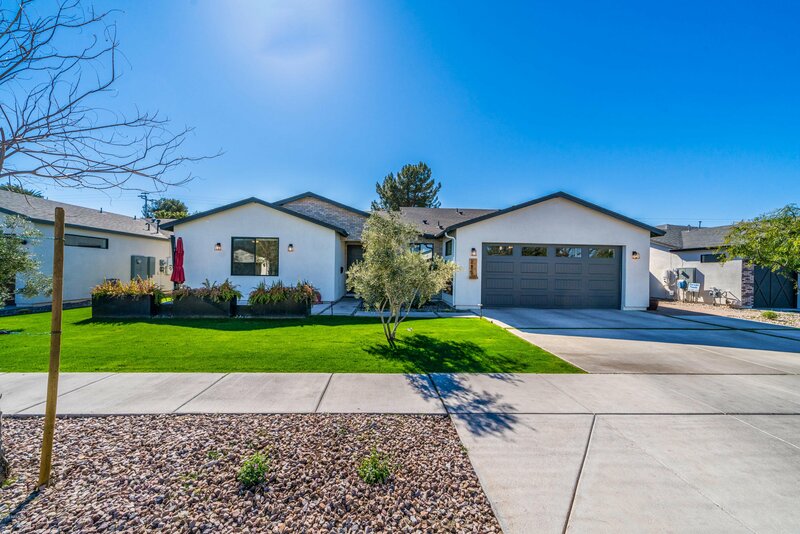 4 bedrooms 3.5 baths with 3205 square feet of living space. 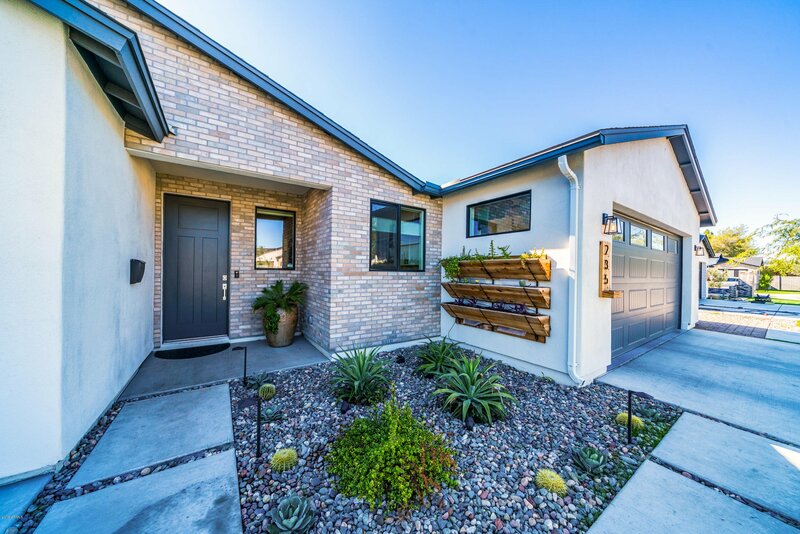 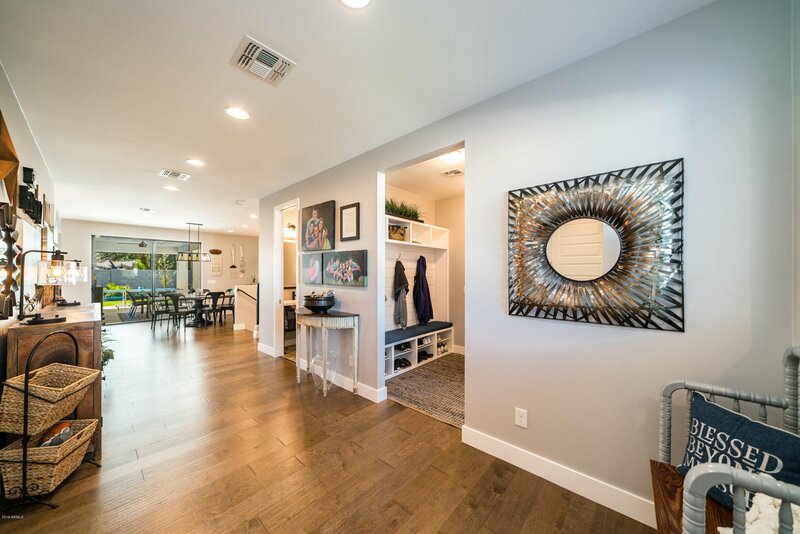 North Central GEM-Built in 2018- Smart & Green home! 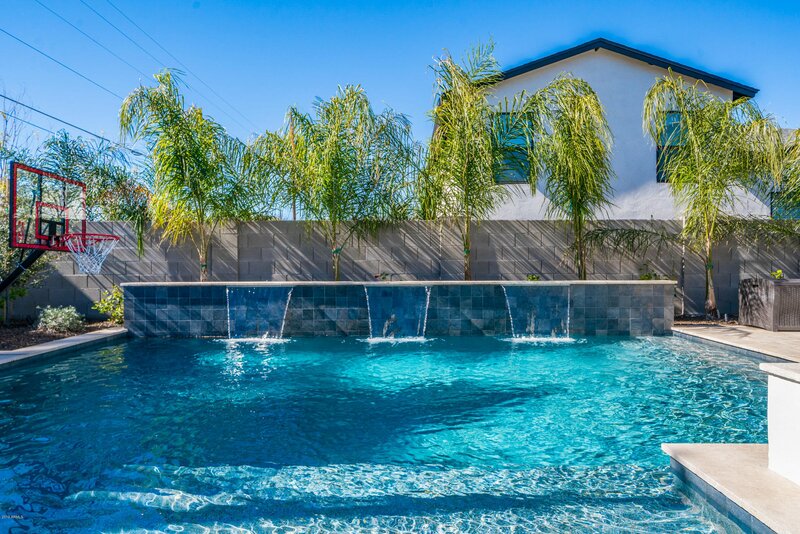 GORGEOUS is an understatement! 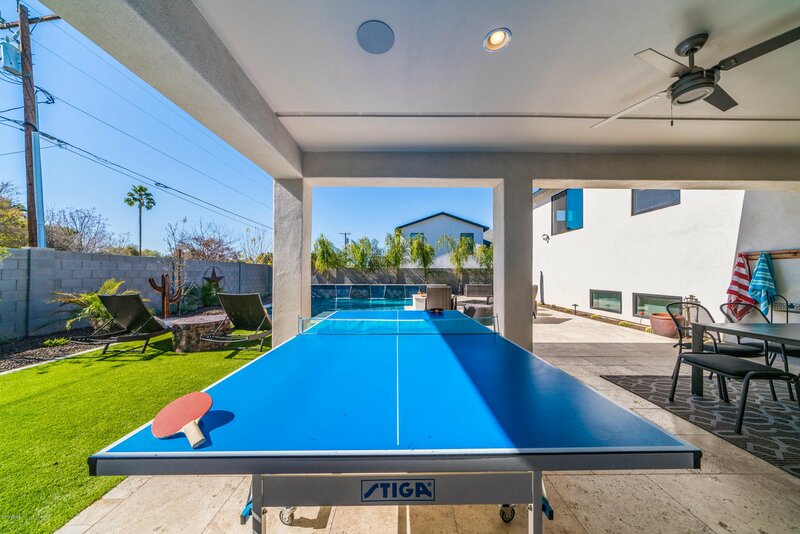 Inside and out this home is a true ENTERTAINERS DELIGHT! 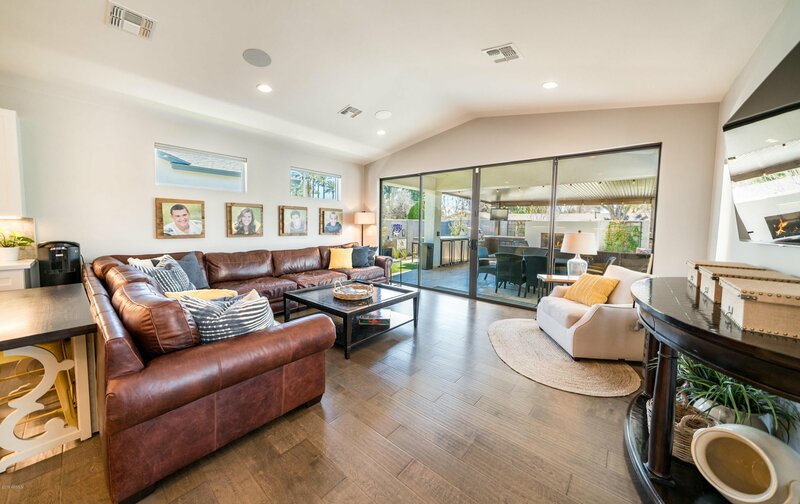 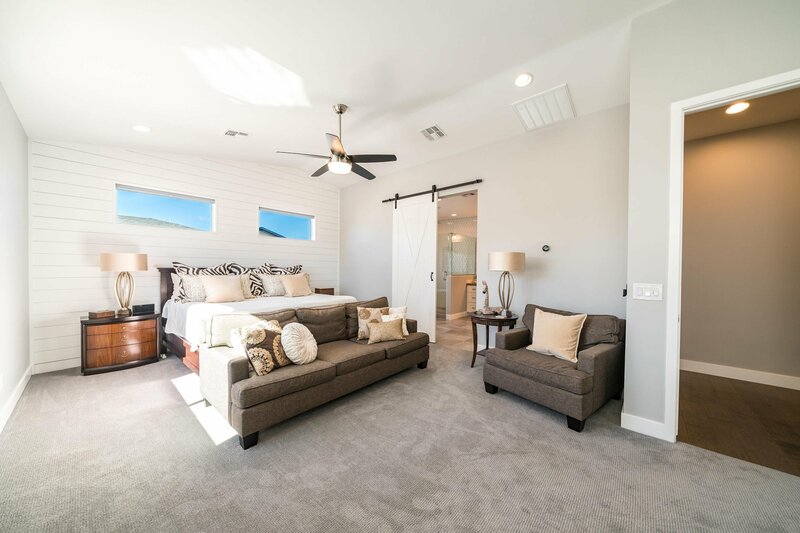 Wide open spaces offer ample room for family and friends. 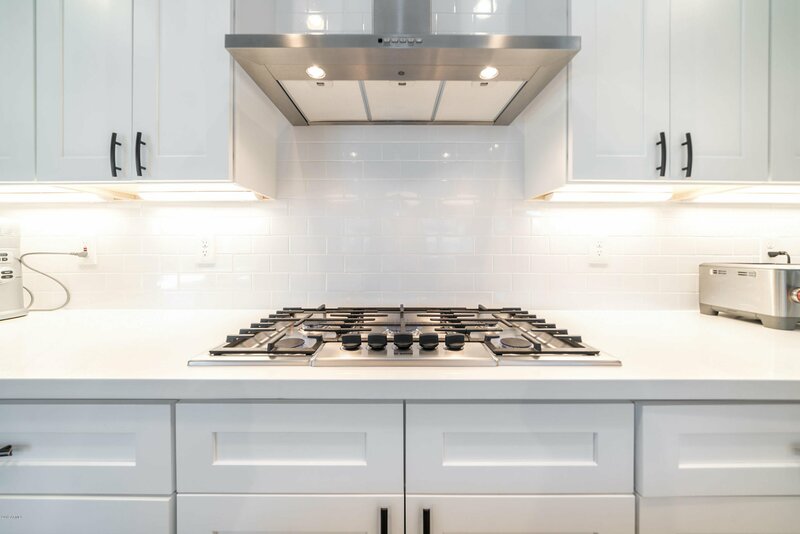 It is WELL APPOINTED with hardwood in the main living area, solid wood shaker cabinets and quartz counters throughout. 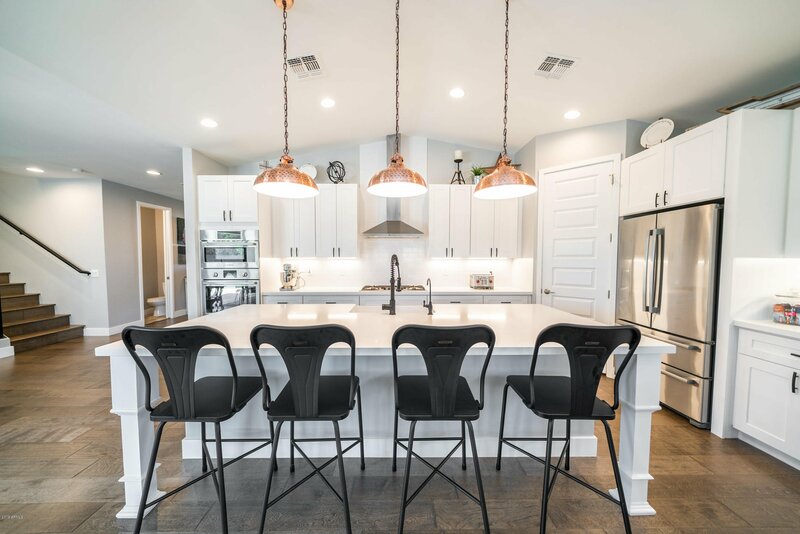 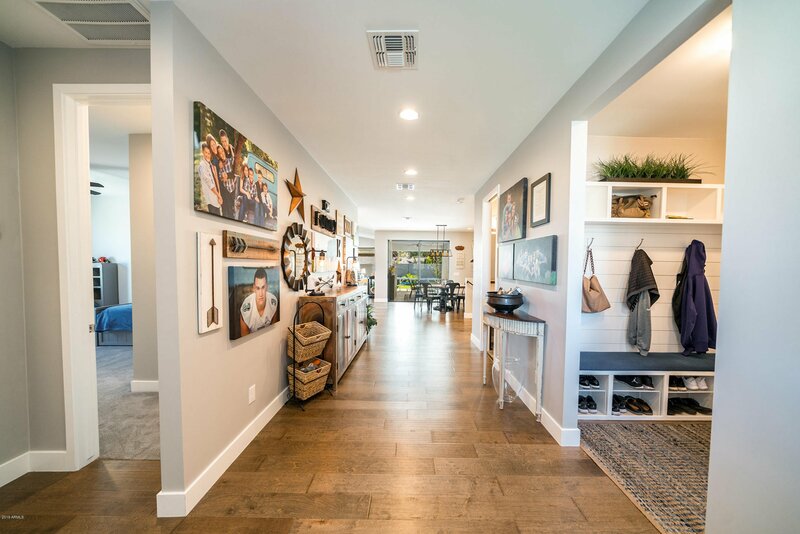 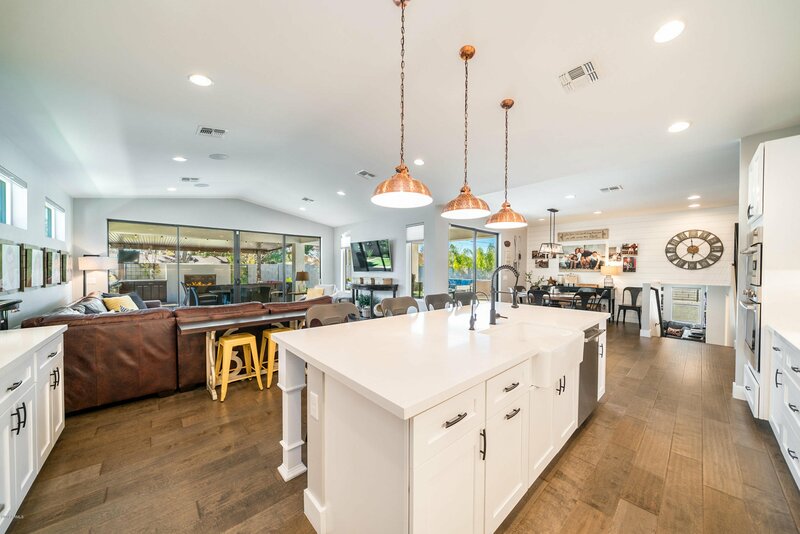 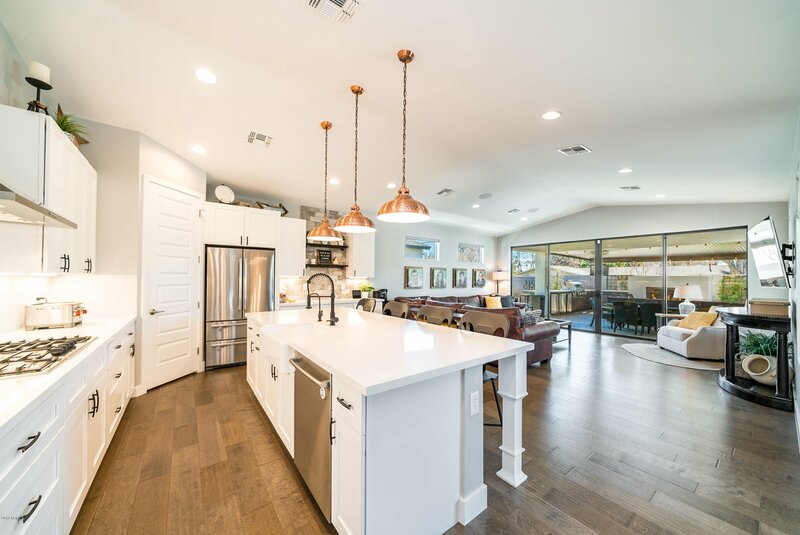 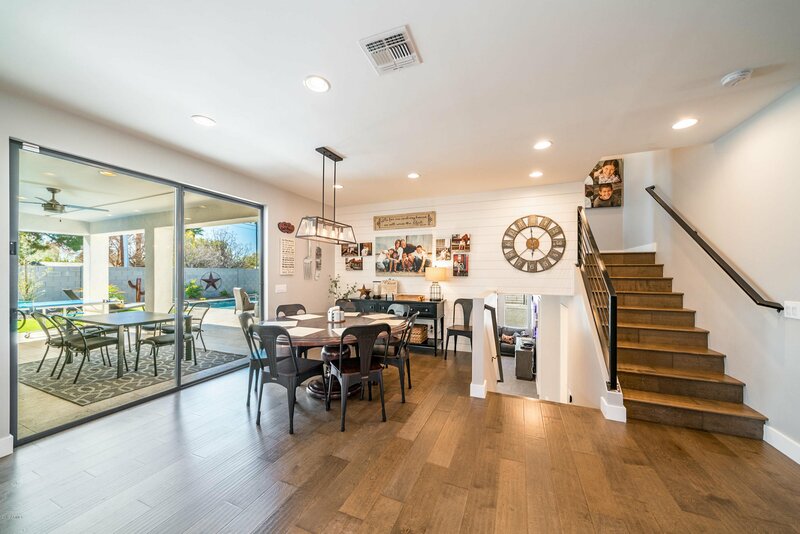 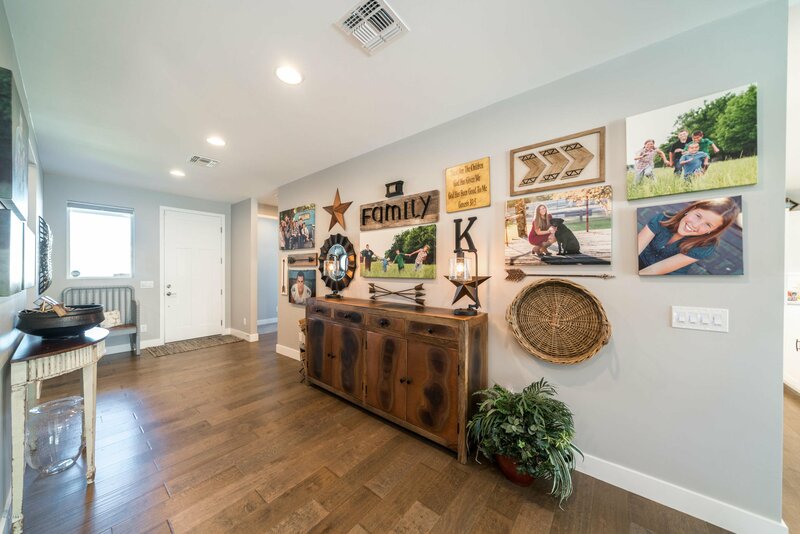 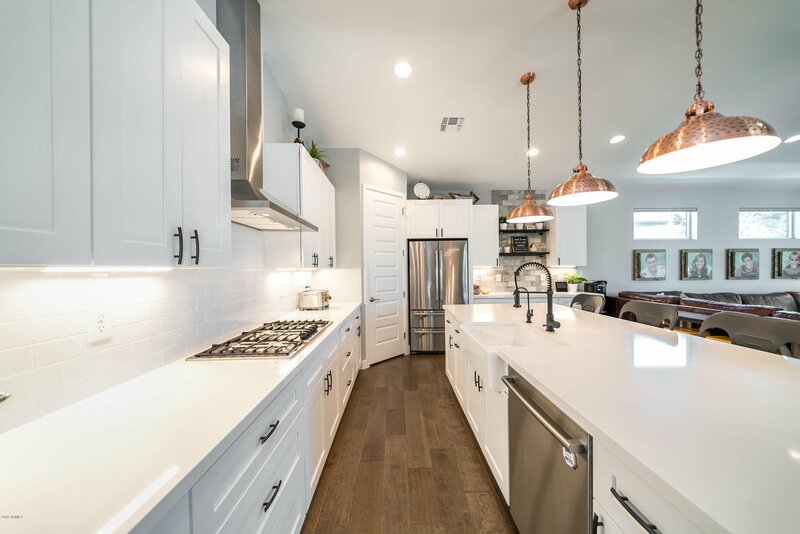 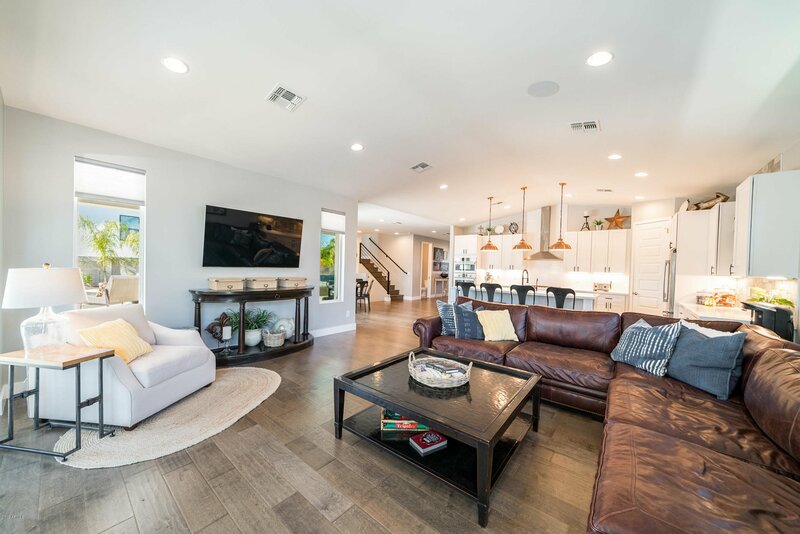 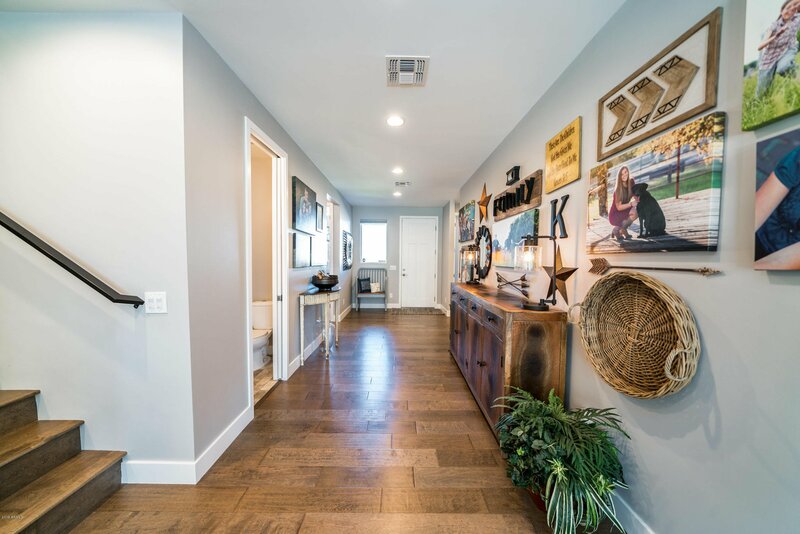 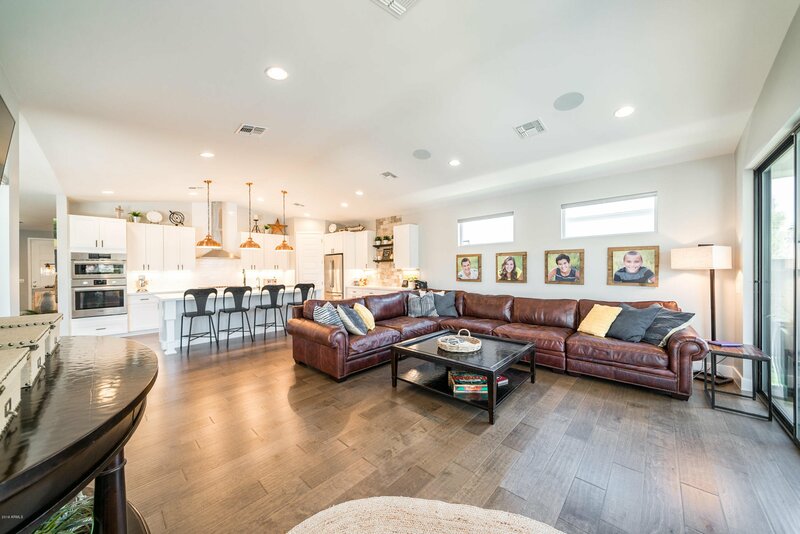 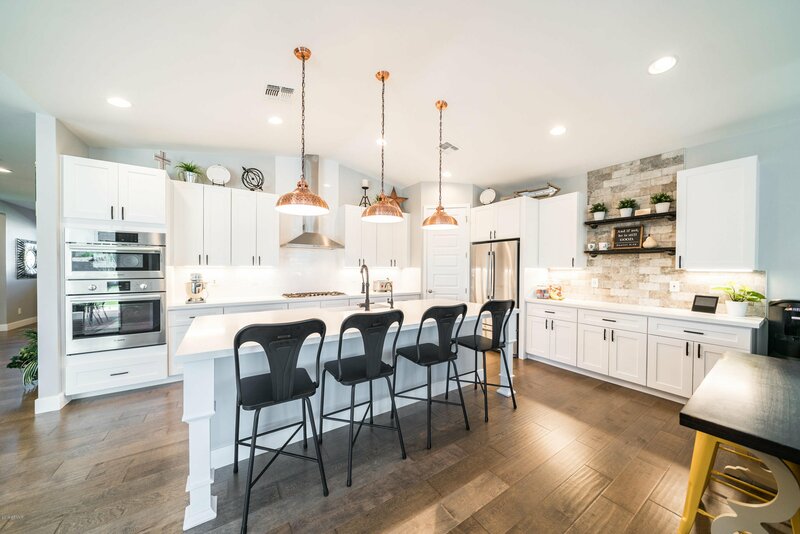 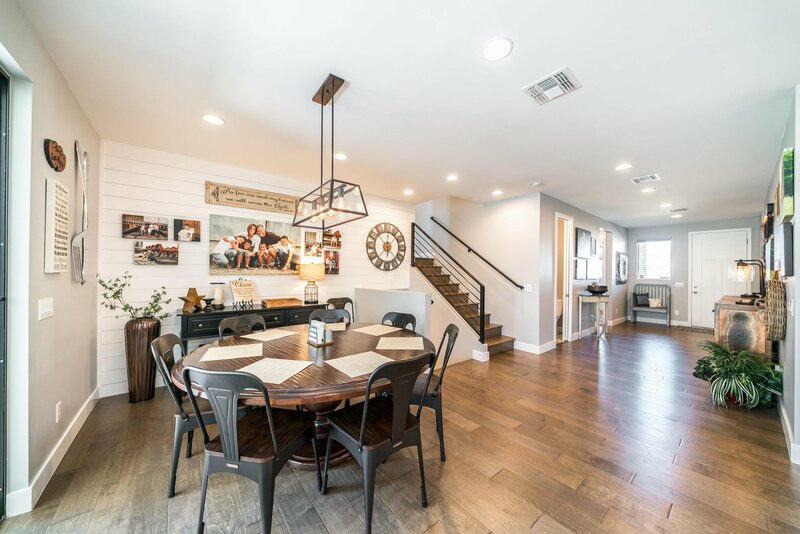 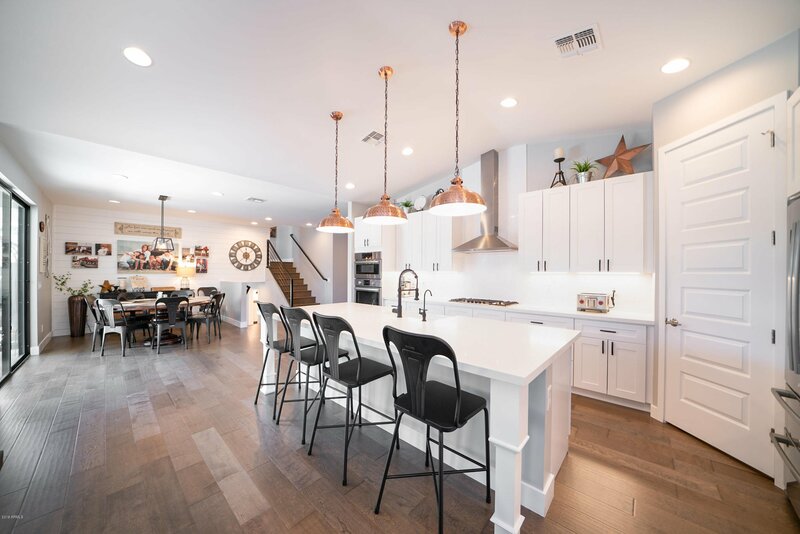 Shiplap, vaulted ceilings, upgraded lighting, built-in desk area, and a phenomenal floorplan are just a few of the desirable things about this home! 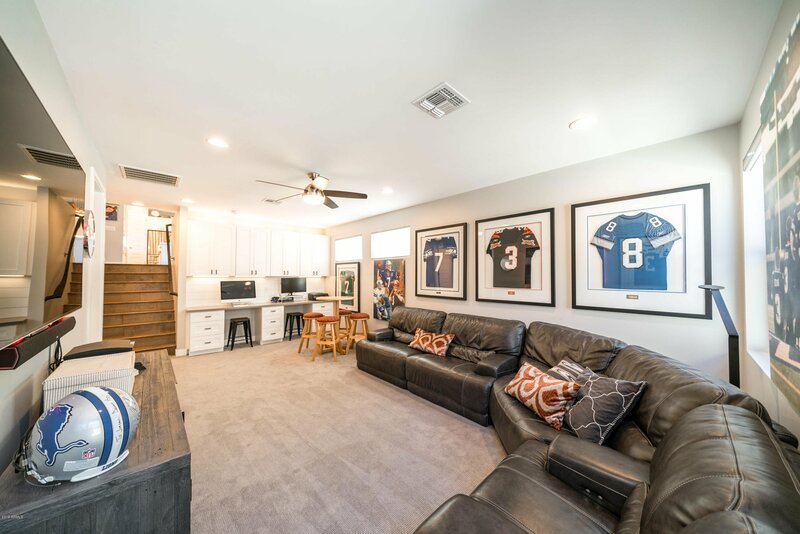 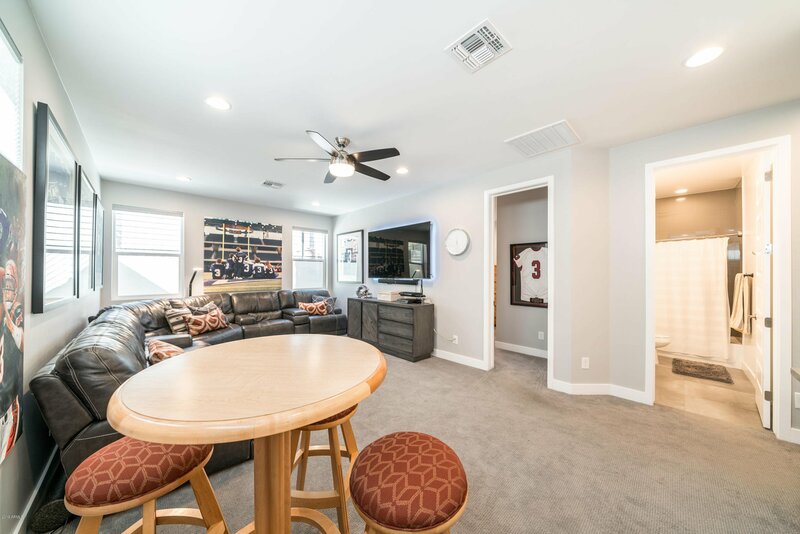 FINISHED BASEMENT is light and bright and offers another entertaining area along with a bedroom, bathroom and storage area! 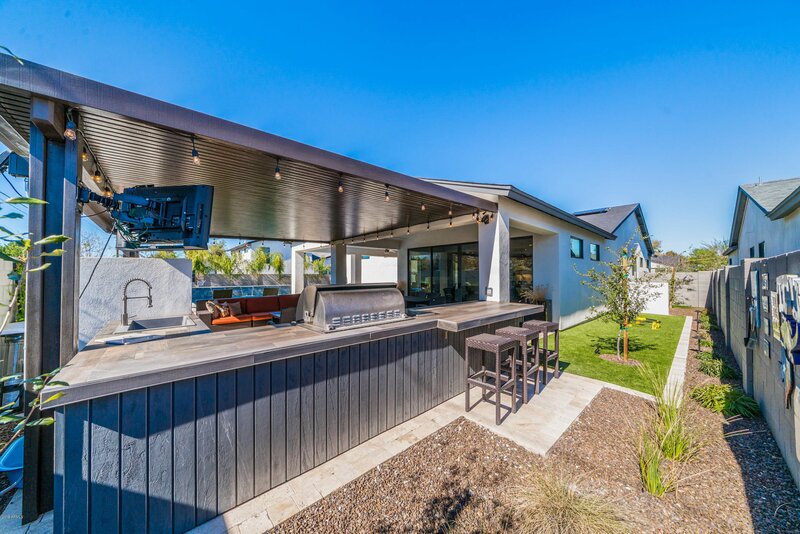 MASTERPIECE design for the outdoor living space and backyard! 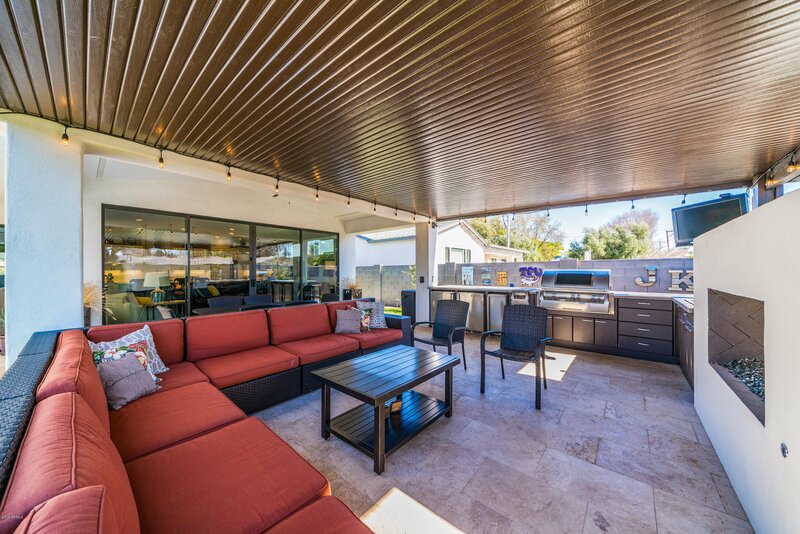 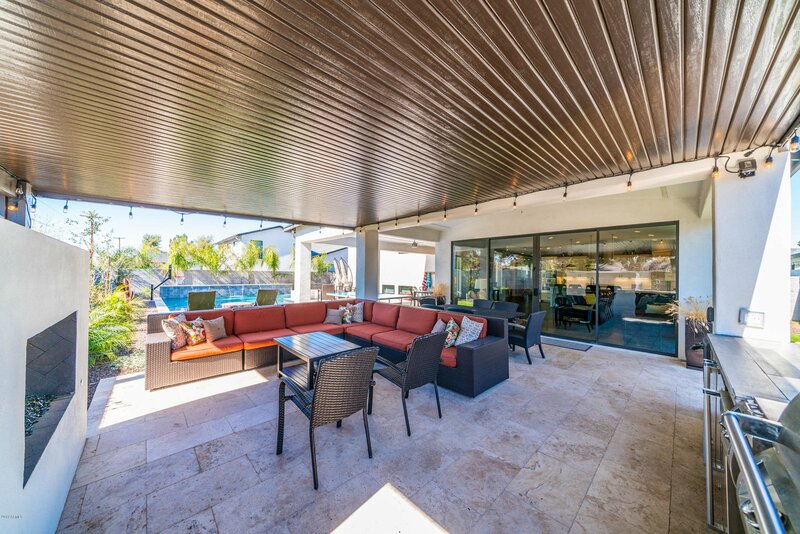 GORGEOUS cabana that is an extension of the home and is sure to be the talk of the town! 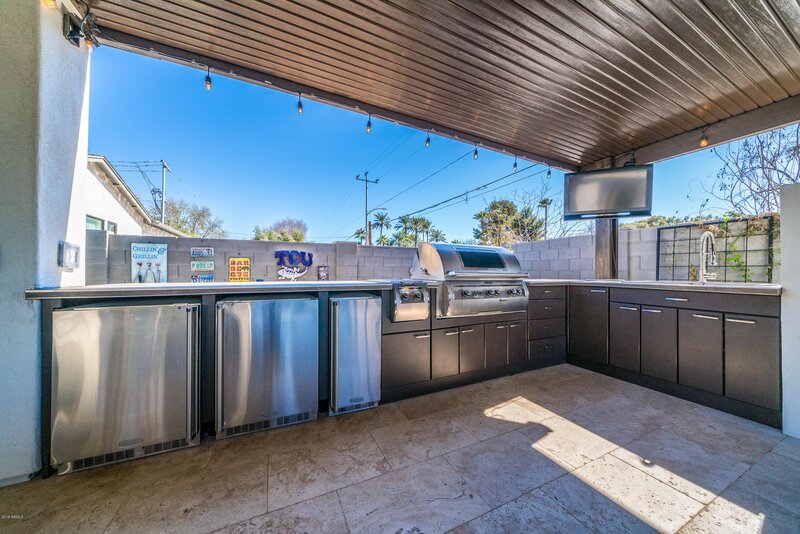 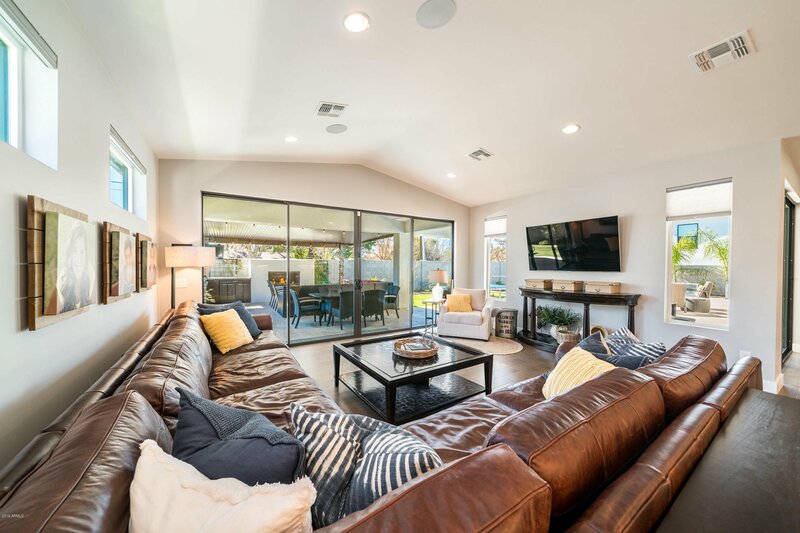 The large family room glass panel doors open to this wonderful outdoor extension of the home which has a HUGE grill, two refrigerators, ice maker, sink, gas fireplace, two burners, TV, and a bar area which make this a place you will want to call home! 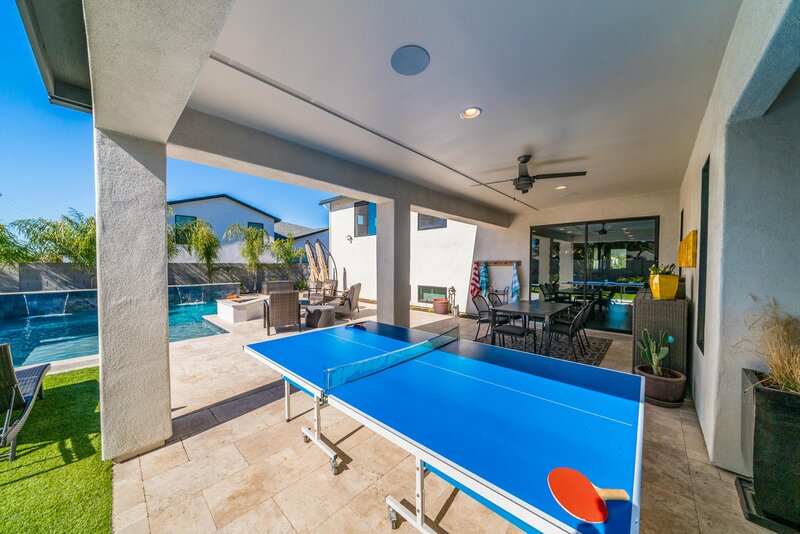 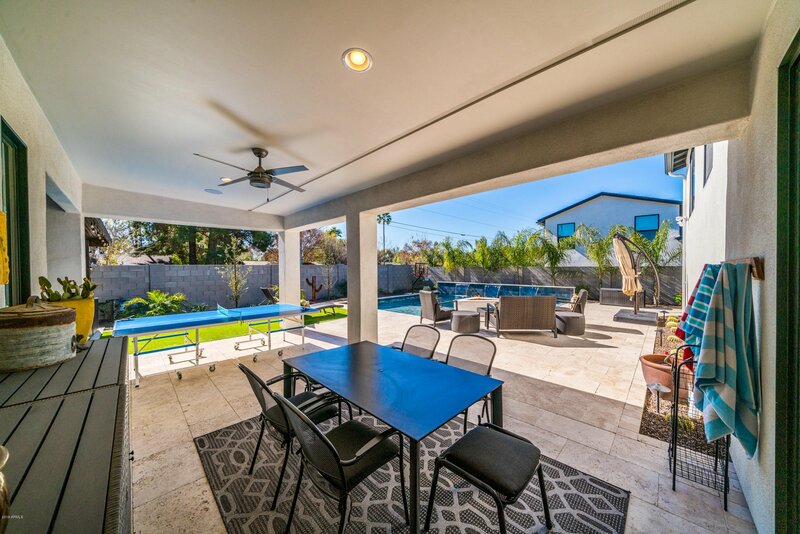 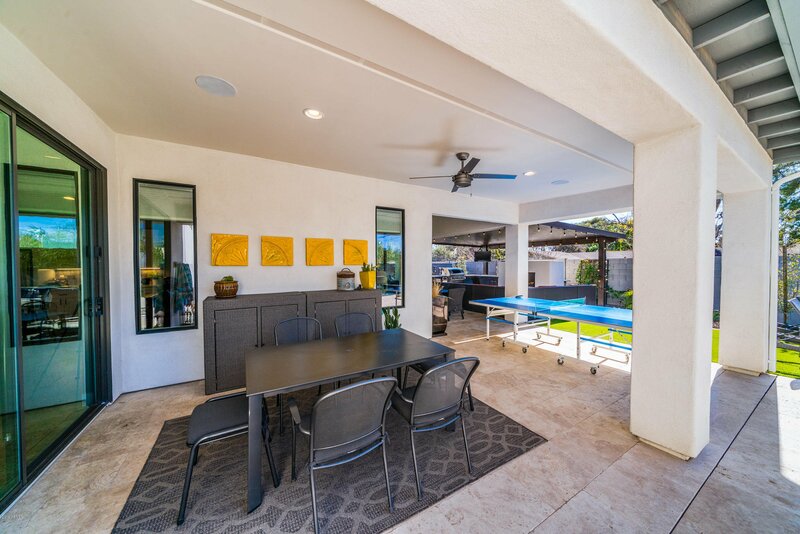 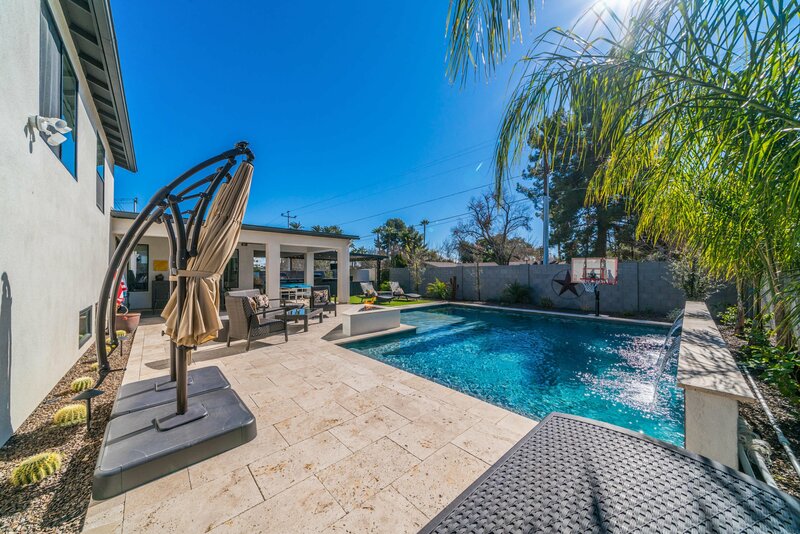 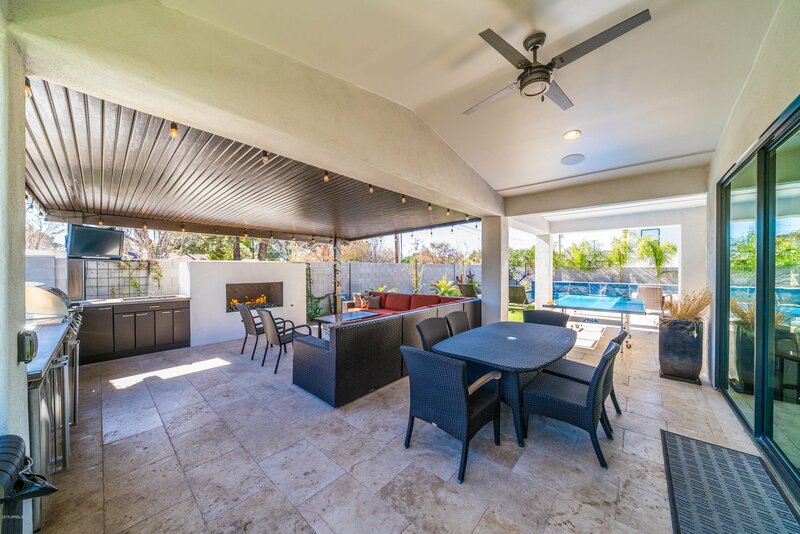 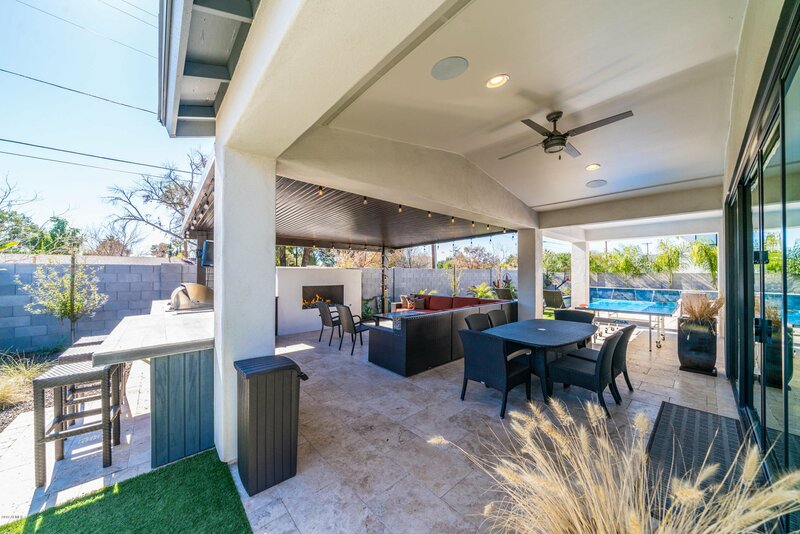 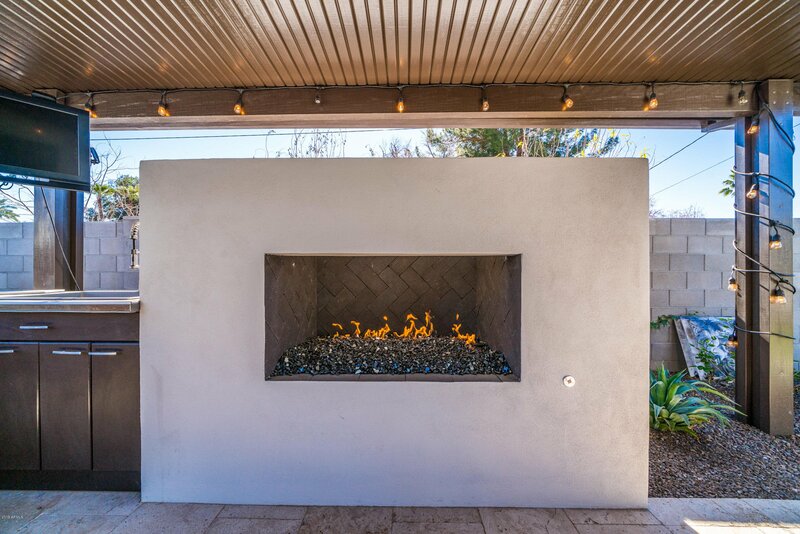 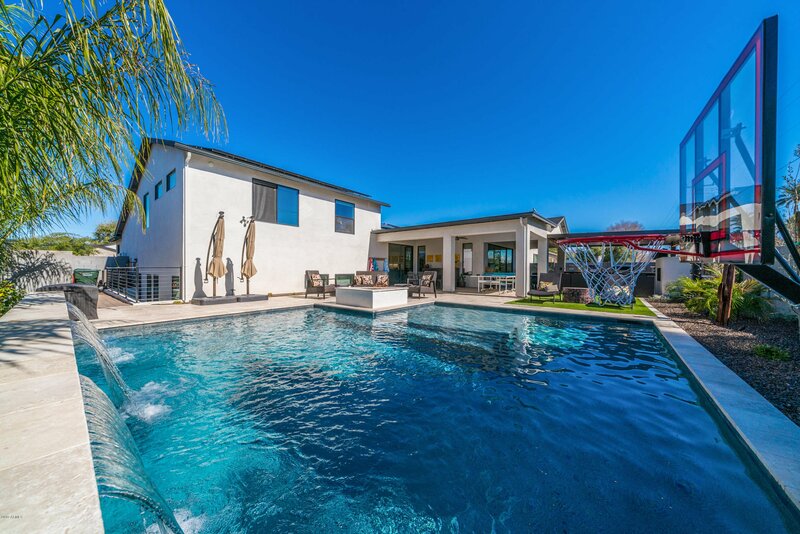 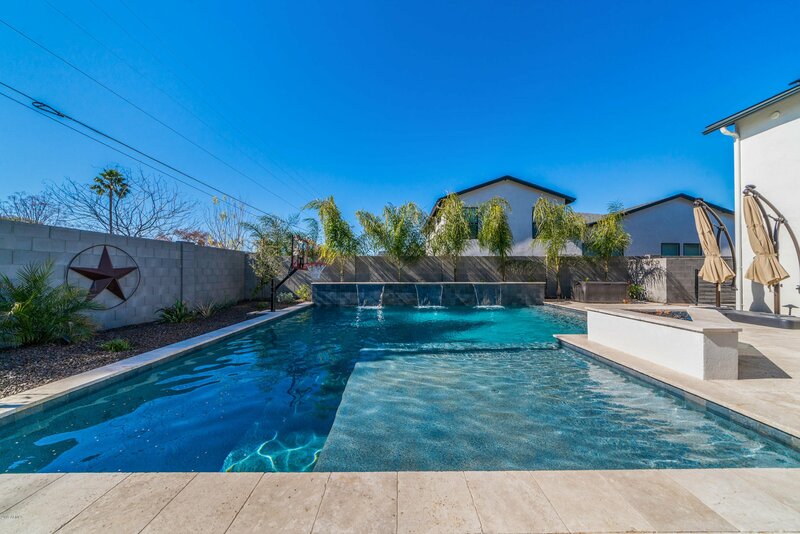 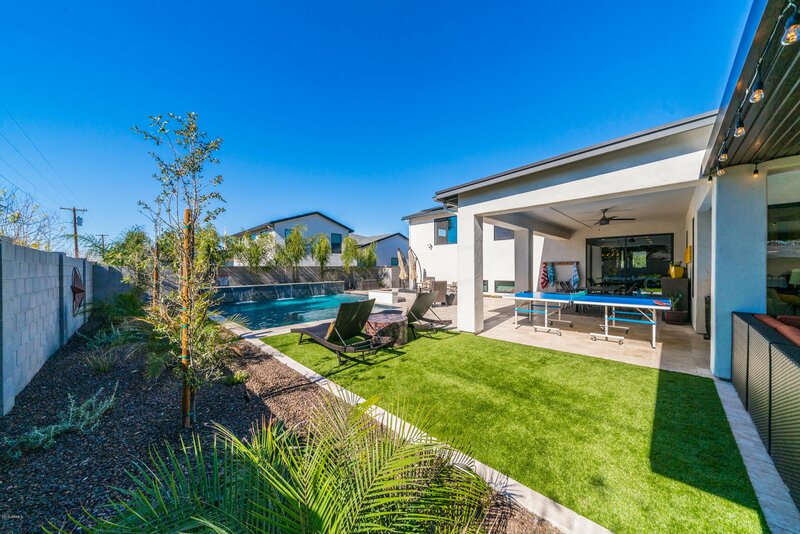 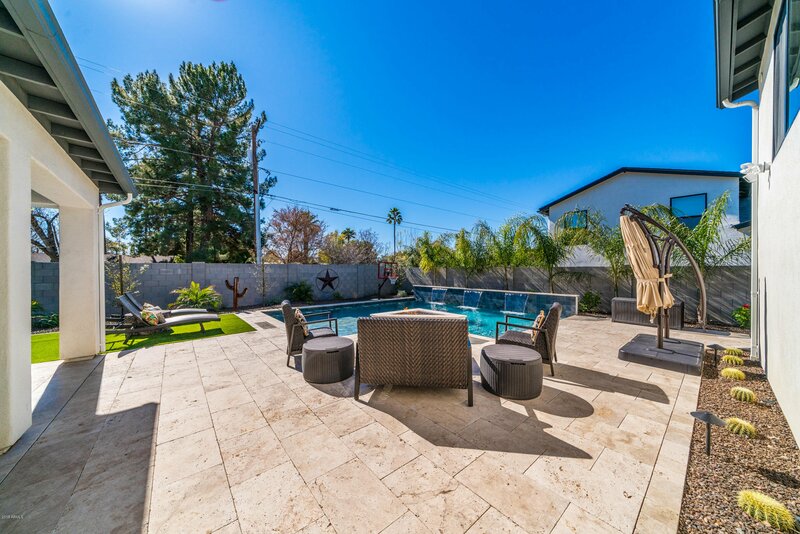 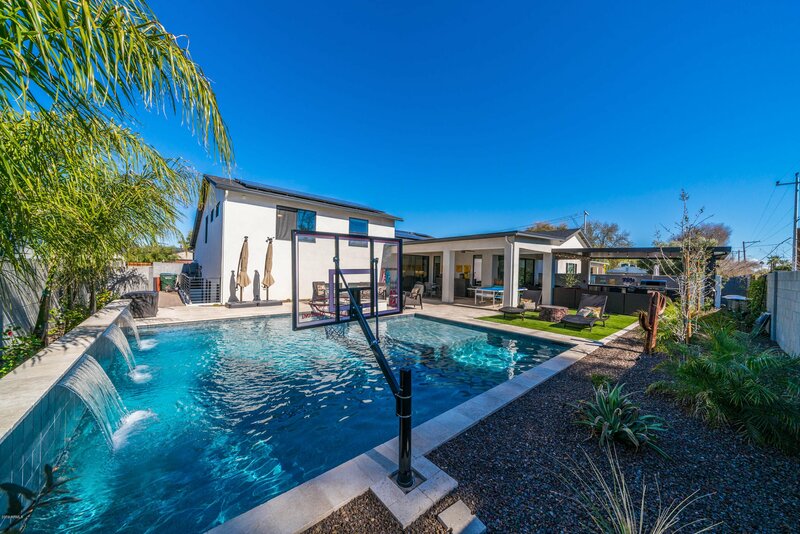 The pool features a basketball hoop, oversized Baja step, water features, plenty of room for water volleyball and is complemented by a firepit, artificial turf, and beautiful landscaping! 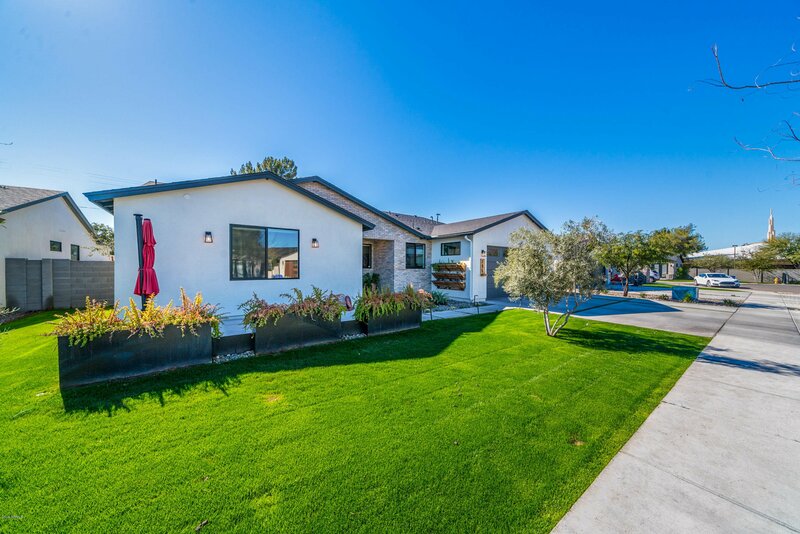 OWNED SOLAR SYSTEM is grandfathered into the APS roll over credit system! 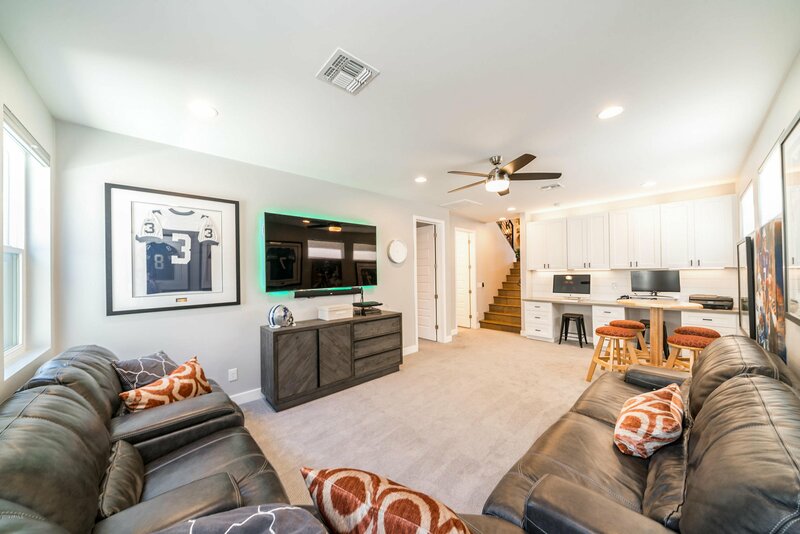 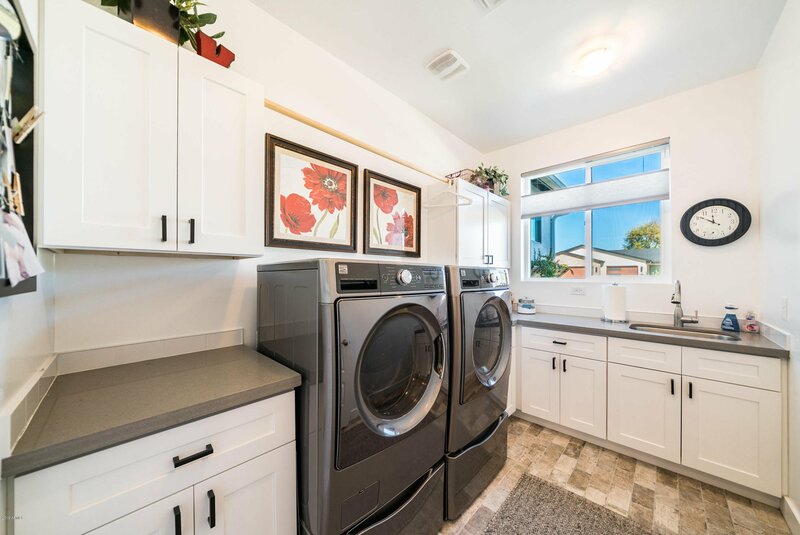 Energy efficient and Smart features: Control 4 whole home integration, Nest thermostats, spray foam insulation, no VOC paint, and a 220V outlet in the garage for electric vehicle charging. 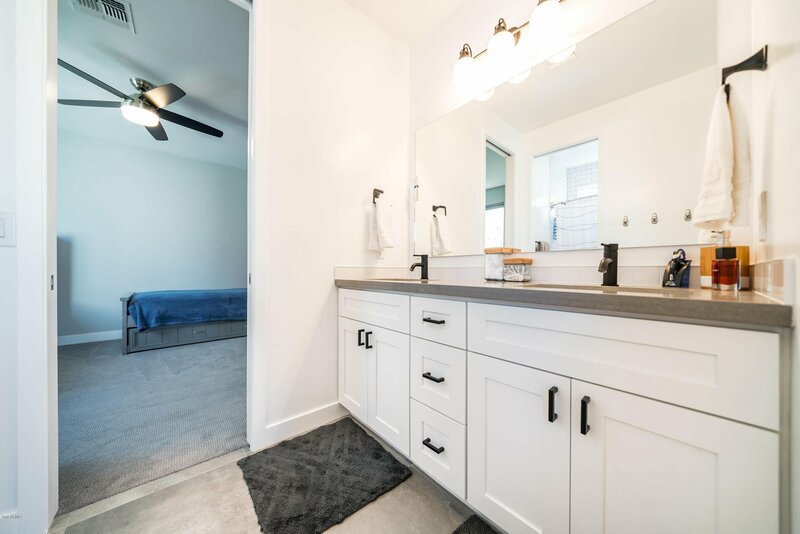 Energy Star tankless gas hot water heater and WaterSense faucets. 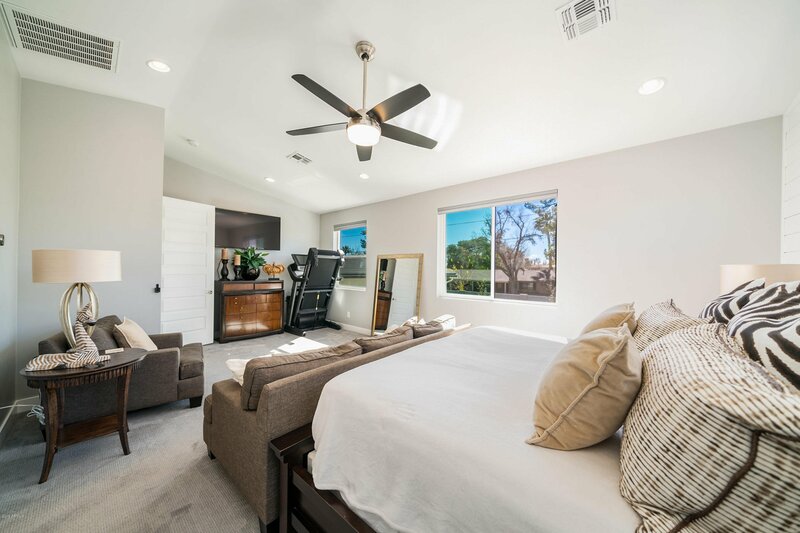 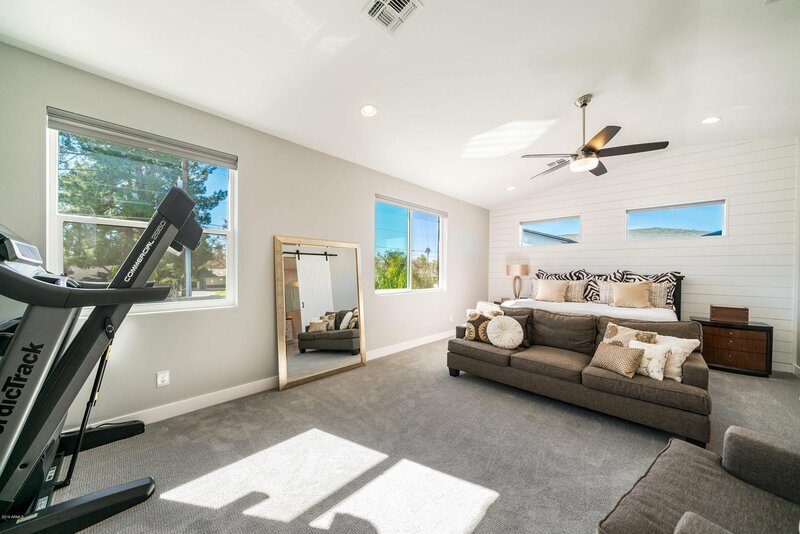 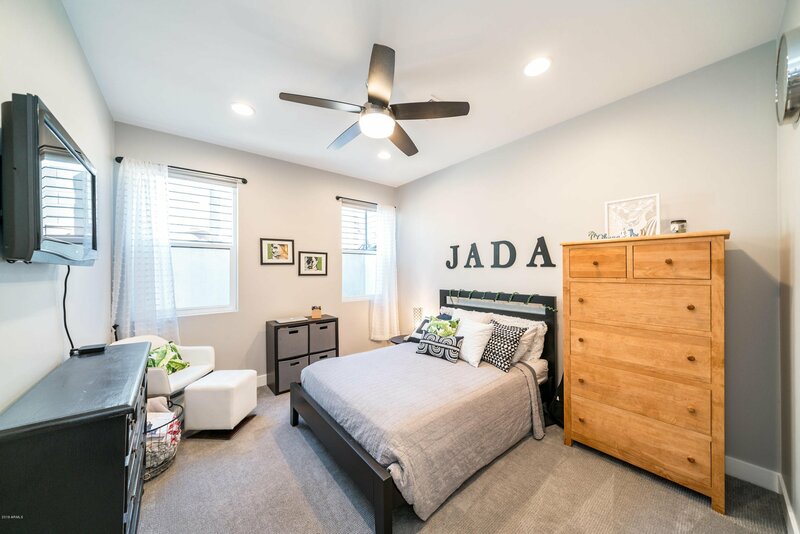 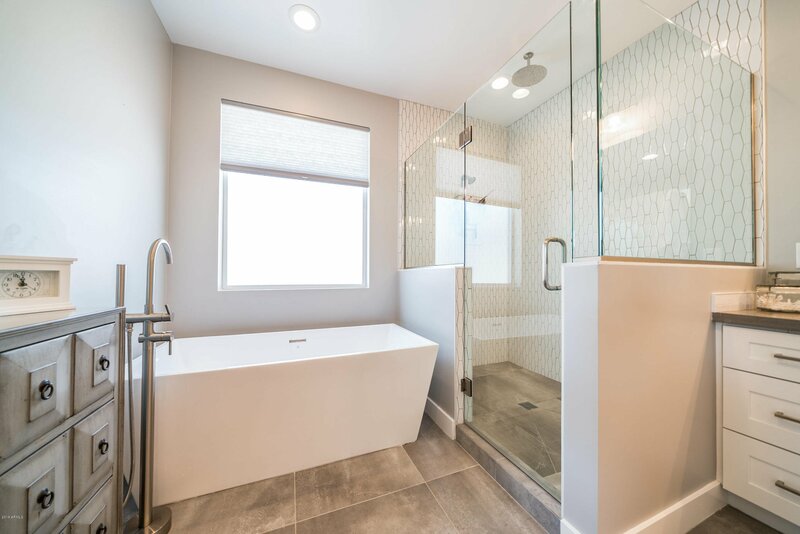 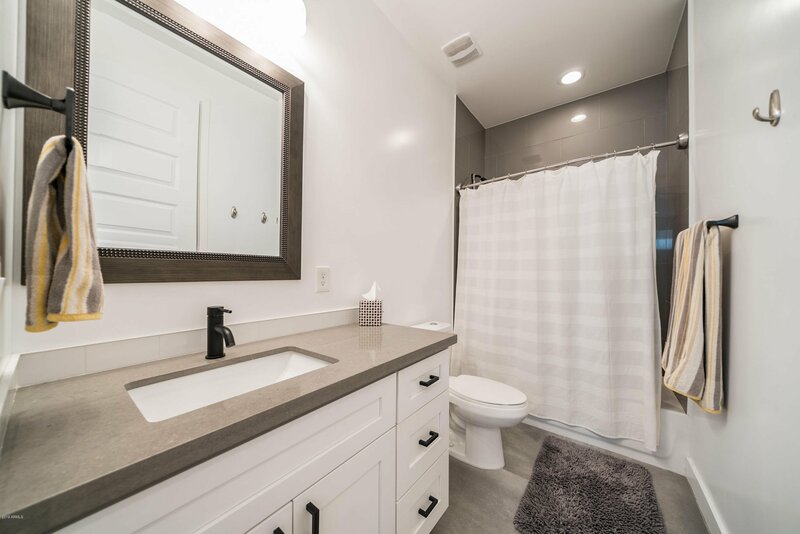 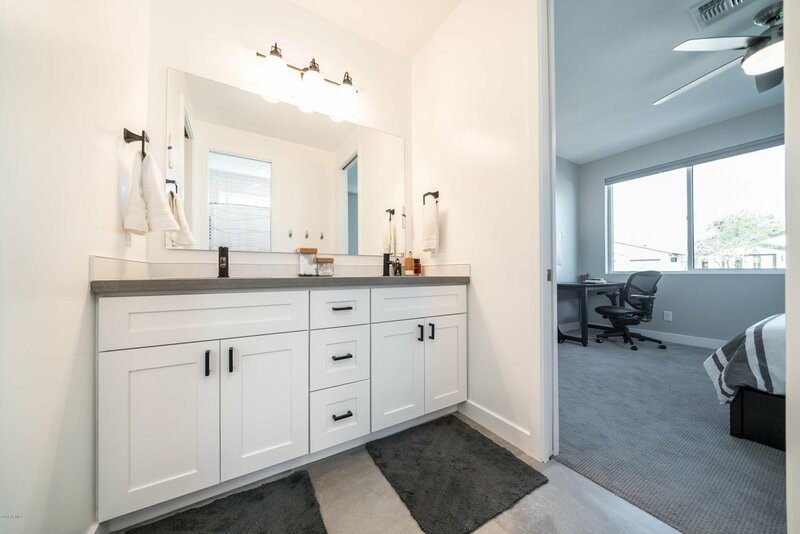 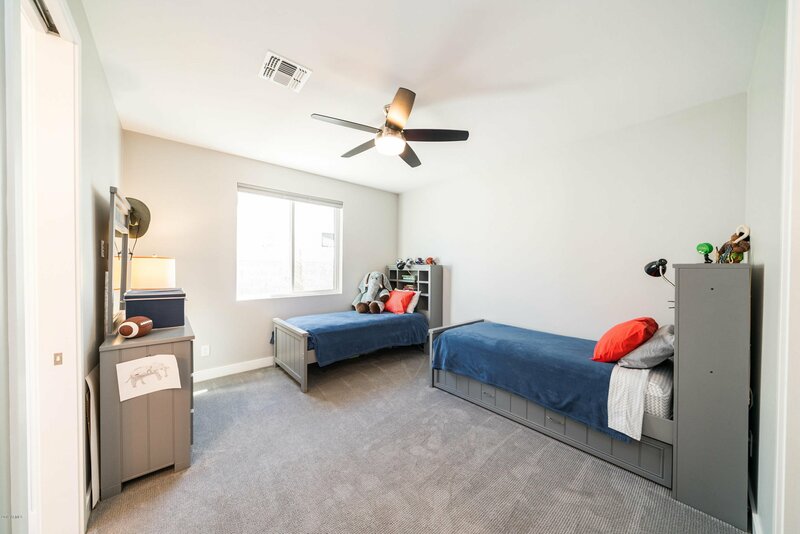 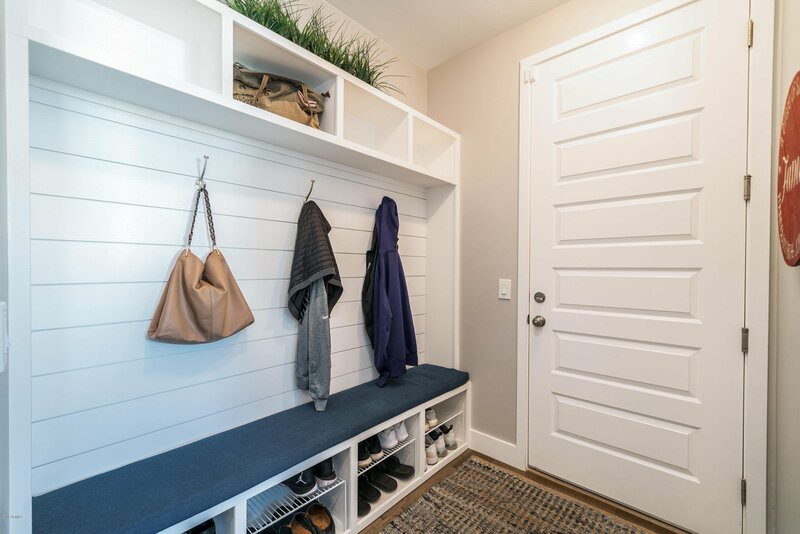 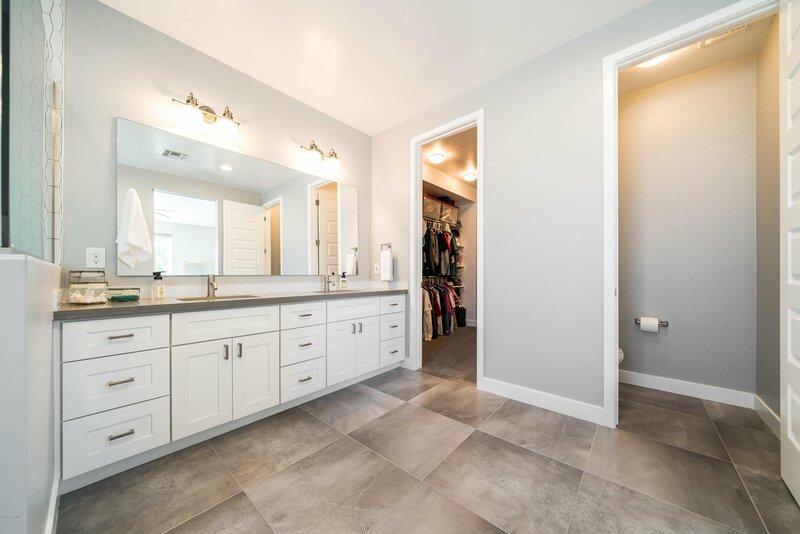 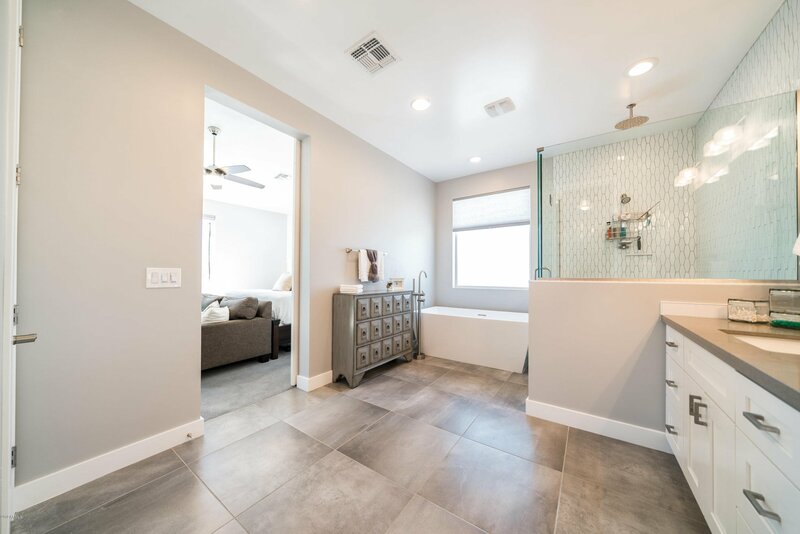 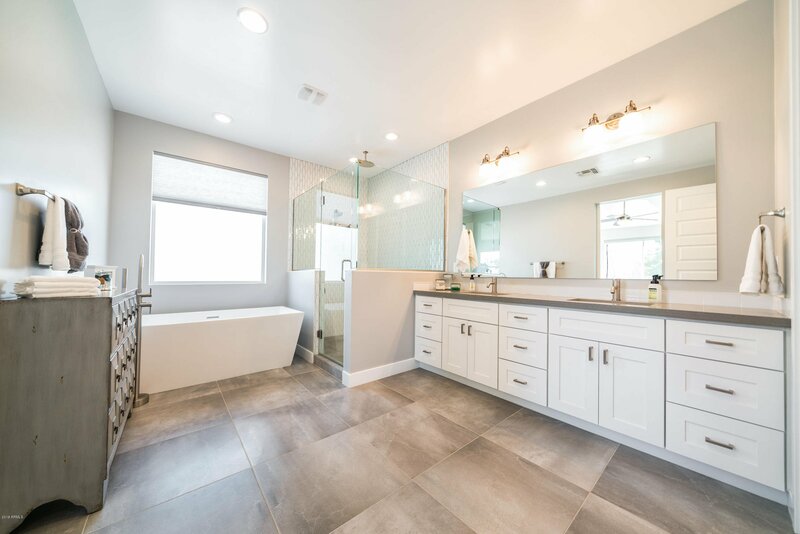 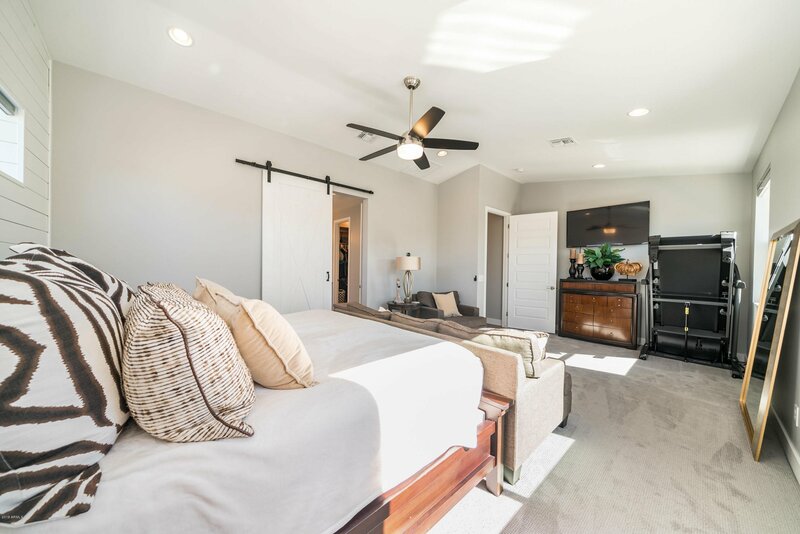 All of the bedrooms have walk-in closets, and the master suite is sure to be a place you will want to retreat to as it has a freestanding soaking tub, oversized shower with a rain head and a huge walk-in closet. 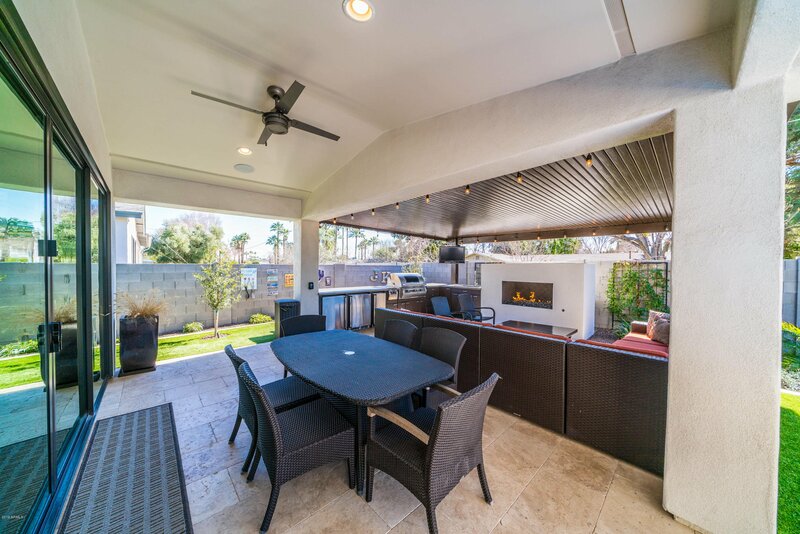 Quiet CUL-DE-SAC street just down the road from the MURPHY'S BRIDLE PATH, and close to BROPHY & XAVIER! 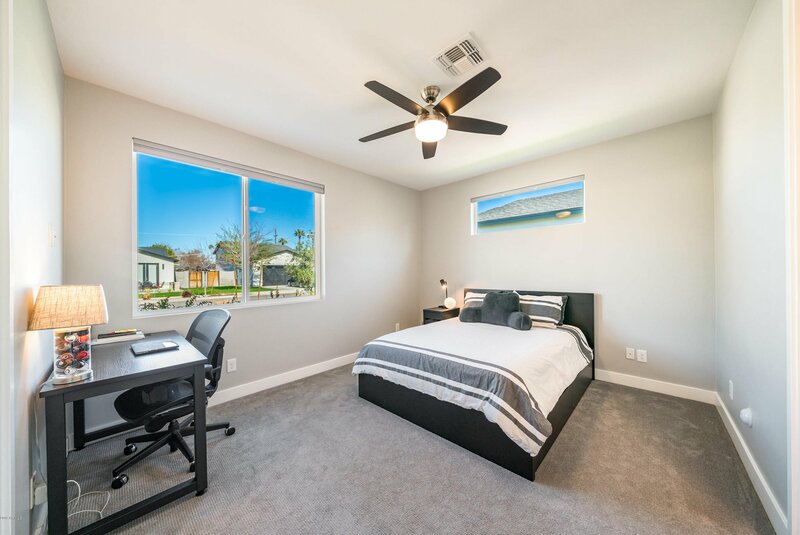 Located in the very desirable MADISON SCHOOL DISTRICT too! 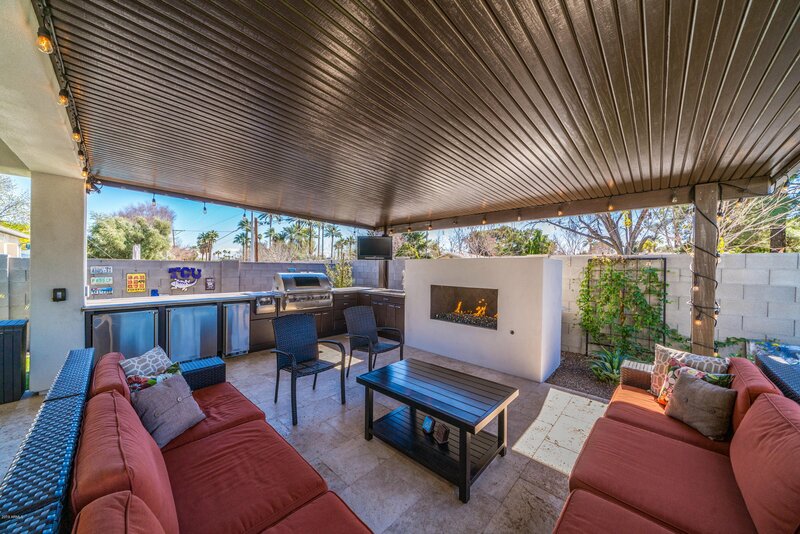 Ride your bikes to the AMAZING restaurants and shops! 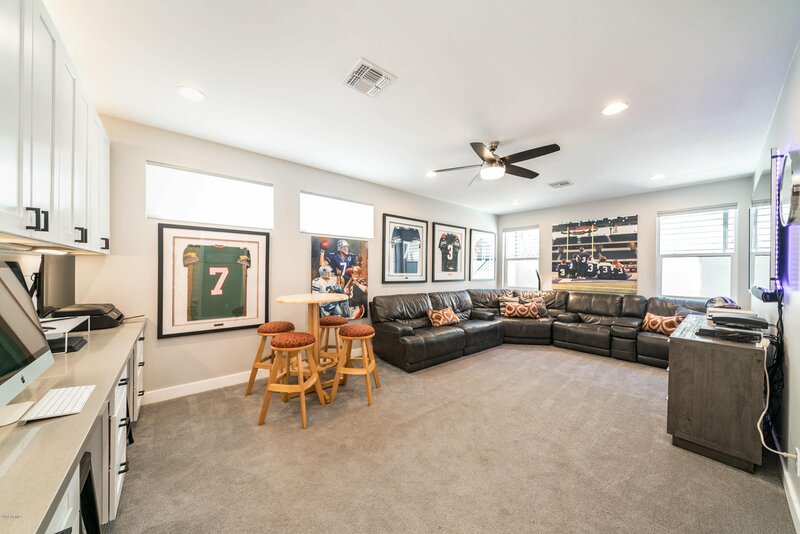 You WILL NOT FIND anything else like this 2018 home in the highly sought after North Central community!